When Charlotte Motor Speedway opens its doors for the eighth annual Speedway Christmas presented by Disconnect and Drive this weekend, fans will be treated to the biggest and brightest holiday lights spectacle yet at the iconic speedway. Ushering in the return of one of the Southeast's largest and most-anticipated holiday traditions, the show kicks off Saturday with the Egg Nog Jog, a holiday-themed 5K run through the lights, before visitors from across the country descend on the twinkling track for the drive-through show, which runs nightly through Dec. 31, but is closed Christmas Day. 3.5 MILLION - Adding to an already spectacular showcase of sparkle, the speedway has added nearly a half million lights this year, bringing the grand total to a mind-boggling 3.5 million. The theme of this year's display - Storybook in Lights - will see popular fairytale characters like Rapunzel, The Three Little Pigs and Mother Goose, come to life in illuminated fashion. 3.75 -- Strung throughout the infield, along portions of the iconic speedway and innovative ROVAL™, in the grandstands and under the concourse, Speedway Christmas guests wind through 3.75 miles of lights as they take in hundreds of creative displays and lights synchronized to Christmas-themed music. 4,300 - A light show of this magnitude takes a sizable effort to construct. Crews have been hard at work since mid-October stringing lights, running power and testing the lights. In total, crews have racked up more than 4,300 man hours getting ready for opening night. 33,000 - In 2017, more than 33,000 cars visited Speedway Christmas during its six-week run. While most ticket sales are done on-site, visitors from 41 states and three foreign countries purchased tickets in advance, making Speedway Christmas a global attraction. 50 - Fans who think they've seen it all at Speedway Christmas before are in for a treat this year as the speedway has added a 50-foot-tall Ferris Wheel to its new attractions for 2018. Located in the infield near the Christmas Village, fans can take in the views of Speedway Christmas from above every night the village is open. 14 - In addition to the Ferris Wheel, fans can enjoy 14 nights of live entertainment from the Christmas Village outdoor stage, with local bands and organizations adding to the festive atmosphere with music, carols and more. 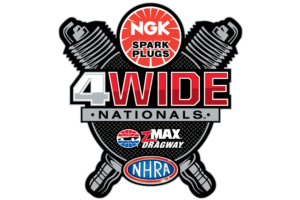 Among those scheduled to perform, the speedway will welcome musicians Cameron Ripley and Thor Mauldin, the Olympic High School Chorus, South Iredell High School Chorus and Cuthbertson High School Chorus. 76,000 - With all the fun that is to be had walking through the Christmas Village - which also includes photos with Santa, a living nativity and a variety of craft vendors - fans are sure to work up an appetite. A Speedway Christmas staple, Lil' Donut Express, will return, serving sweet treats throughout the show. In all, Lil' Donuts expects to sell 76,000 mini munchies, which, if laid side-by-side, would stretch nearly three miles. 16,000 - Back by popular demand, Charlotte Motor Speedway's 16,000-square-foot HDTV will transform into a drive-in movie screen throughout the light show, playing popular holiday movies like "Home Alone," "The Santa Clause" and "Polar Express" every Thursday through Sunday night as part of FOX46 movie nights at Speedway Christmas. 1 - With millions of lights, a sprawling Christmas Village, new additions including a 50-foot Ferris Wheel and live entertainment, and a slew of popular Christmas movies playing on the speedway's 16,000-square-foot HDTV, there's only one place families need to be this year to get into the holiday spirit - Speedway Christmas. Connect with Charlotte Motor Speedway and stay up to speed with all the happenings at America's Home for Racing on Facebook, Twitter or on Charlotte Motor Speedway's mobile app.